We’ve been broadcasting our playtest sessions of the Stoneborne campaigns daily this week. Though we’ve had some technical problems with the livestream itself, the sessions were very productive and we were able to see which stuff needed adjustment. We’ll continue streaming onTwitch next week at 9AM Singapore time (9PM Eastern Standard Time), and hopefully with less issues. 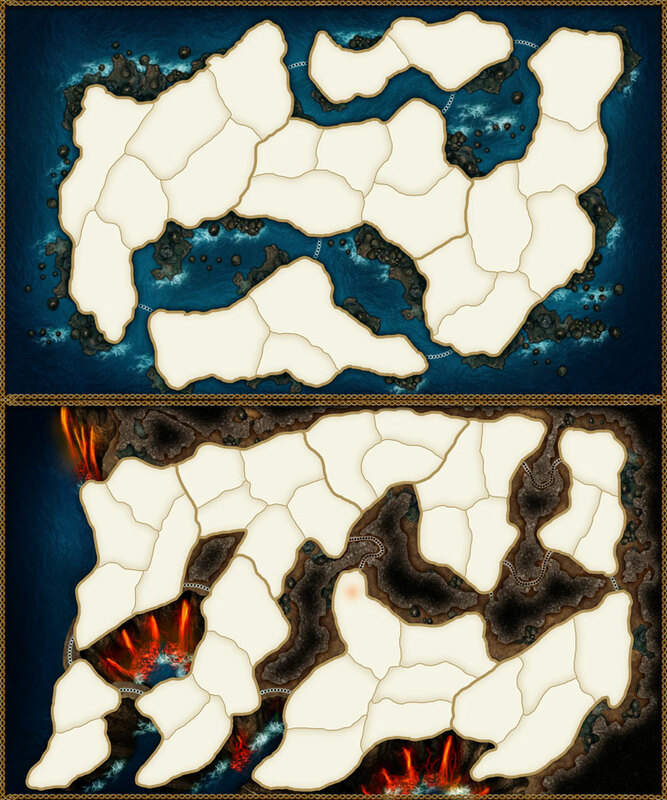 We have also been discussing the seasons in the underground maps, because Spring-Summer-Autumn-Winter don’t make sense in the caves. In case you have any suggestions, please post in the comments! Some new effects have been added and as requested, more emblems! Our artists have also been busy creating the new maps (yes, MappyMcMapFace is gonna happen!) 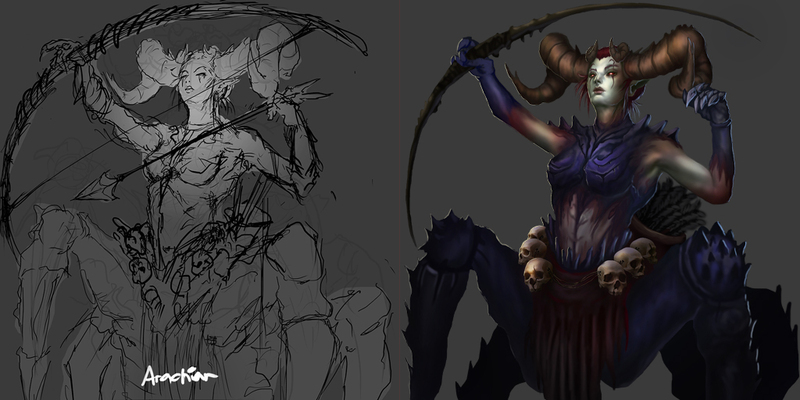 and finalizing another one of the Cavespawn heroes. Here are some WIPs. Meanwhile, in terms of the main game, we’ve been testing the Team Play feature which allows more than two players to form an alliance. It still needs some work, but we’re aiming to release an update before the DLC release. We’re also testing the Android version, but no definite launch date yet. If you want to continue supporting us, we are accepting additional pledges via Paypal through this link. To get more frequent updates, you can drop by our Discord and Twitch channels. For comments and suggestions, just send us a PM here on Kickstarter or our other social media pages. You can also email us at legends@boomzap.com or contact us through the in-game Feedback button.